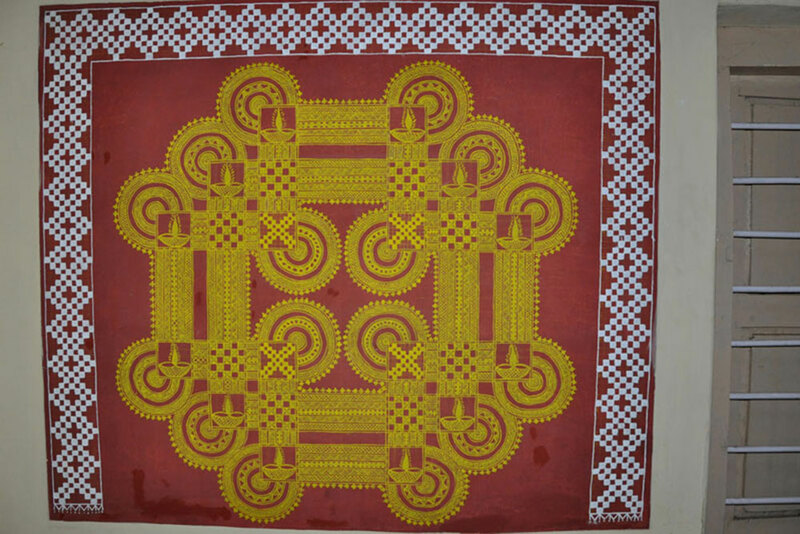 Traditional Mantap design from Chittara. Intricate patterns that represent the auspicious rituals. 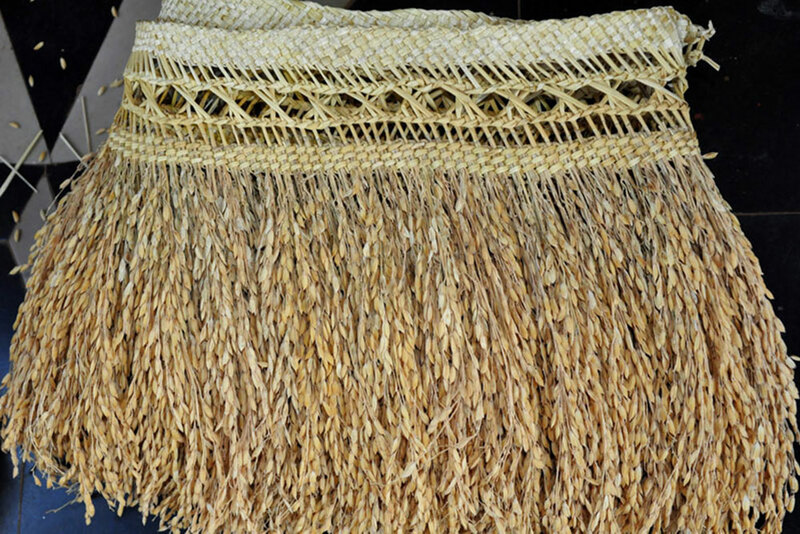 Closer view of unique motif patterns. Local name of design pattern is- Jade guchaa. 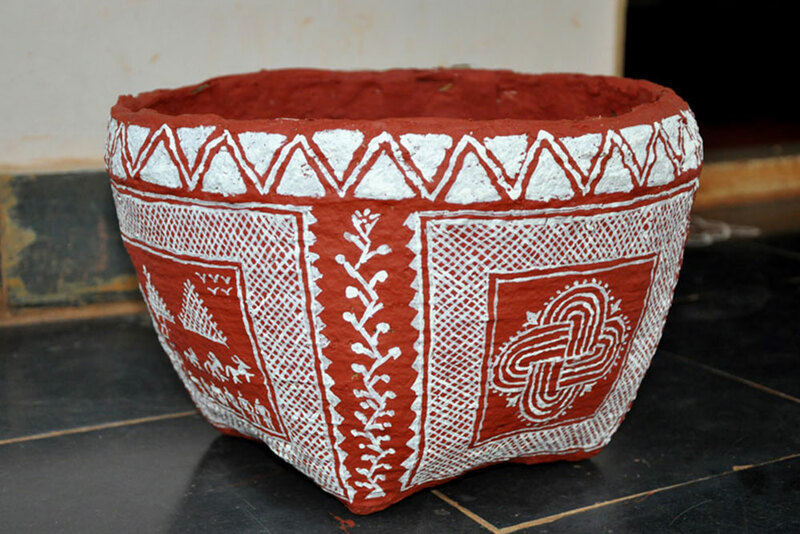 Chittara art on rice container. Themes of Chittara painting include birds, tribal houses and architecture. 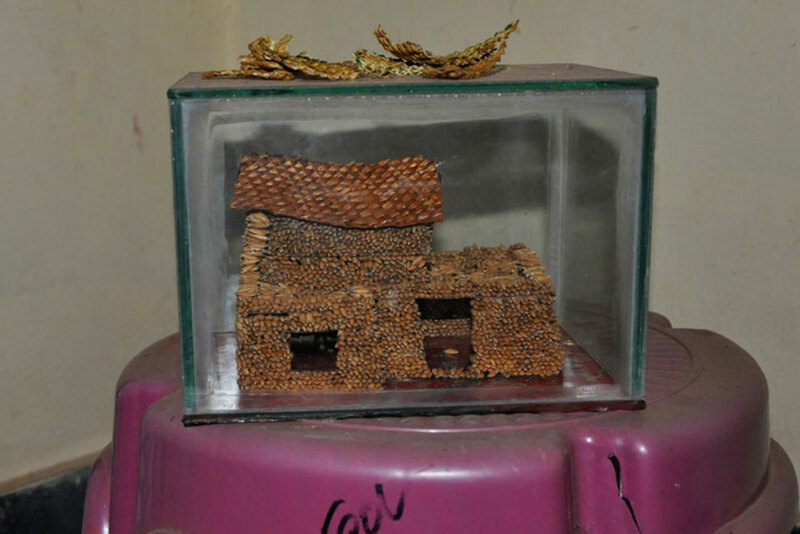 Paddy house - made of paddy grains. The traditional Folk art is mural painting known as Hase Chittara in Sagara village of Shimoga district. 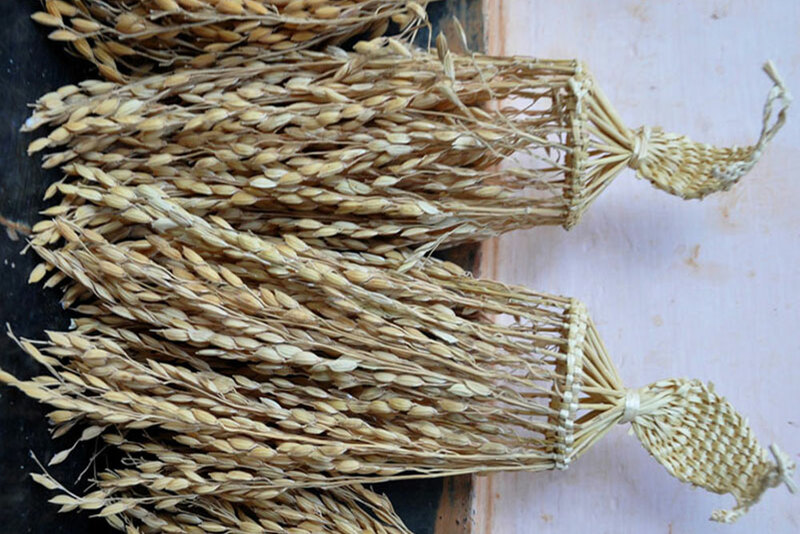 Paddy Thorana (hanging) is an art form creatively designed using paddy shoots/leaves into Thorana. 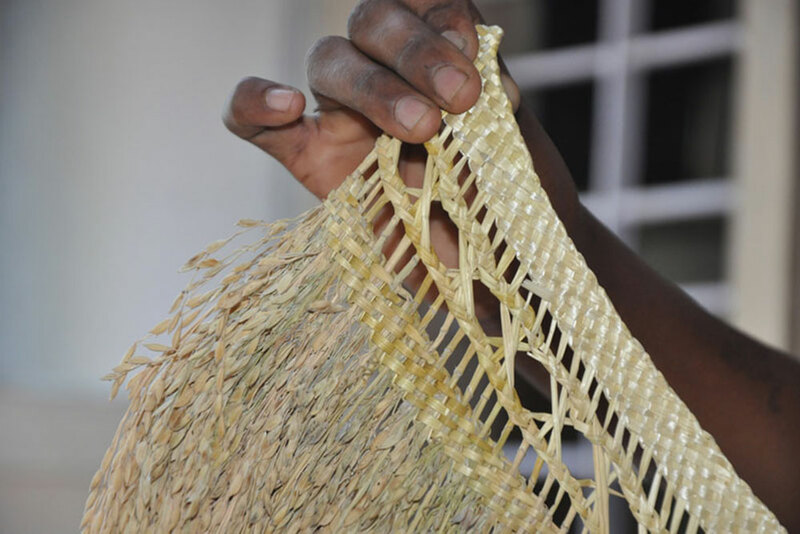 The traditional art form has very important significance in the life of the local people. 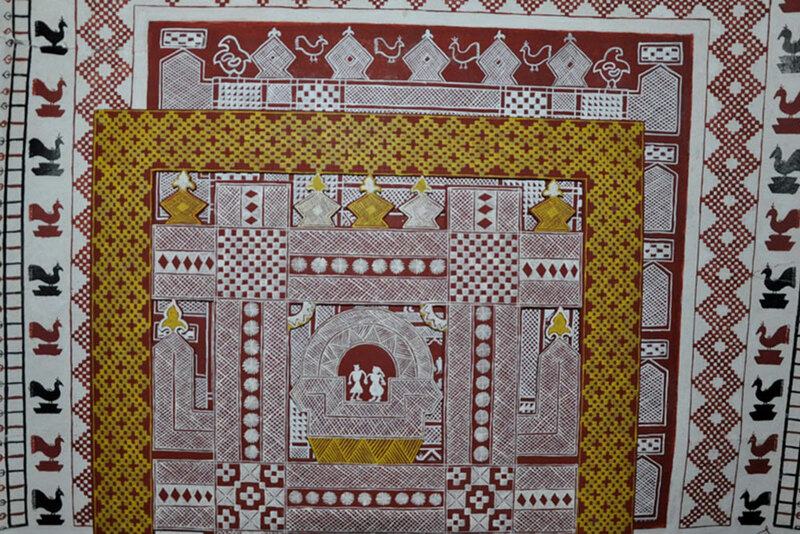 Hase Chittara painting is done on mud walls of tribal houses. 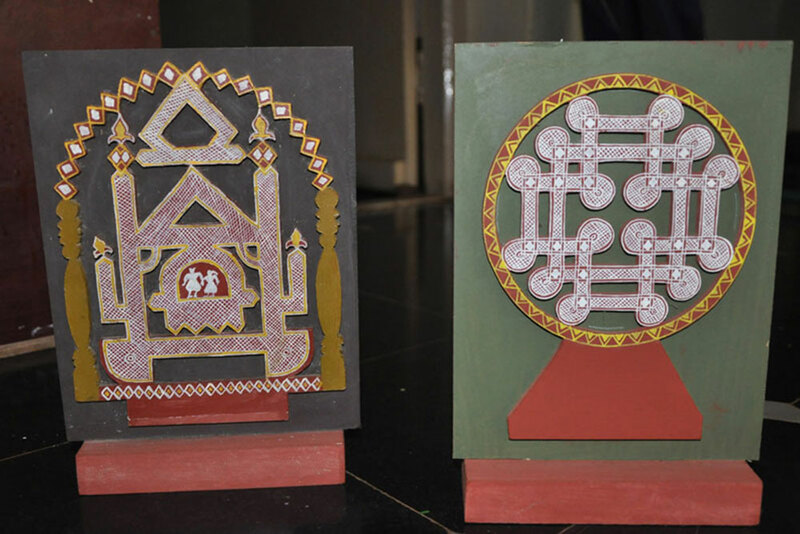 The aesthetic designs of tribal figures, geometric patterns are intricately painted with natural grass brush and natural colors which are made using rice flour and Kemmannu-red earth, Sunna-lime stone and turmeric. 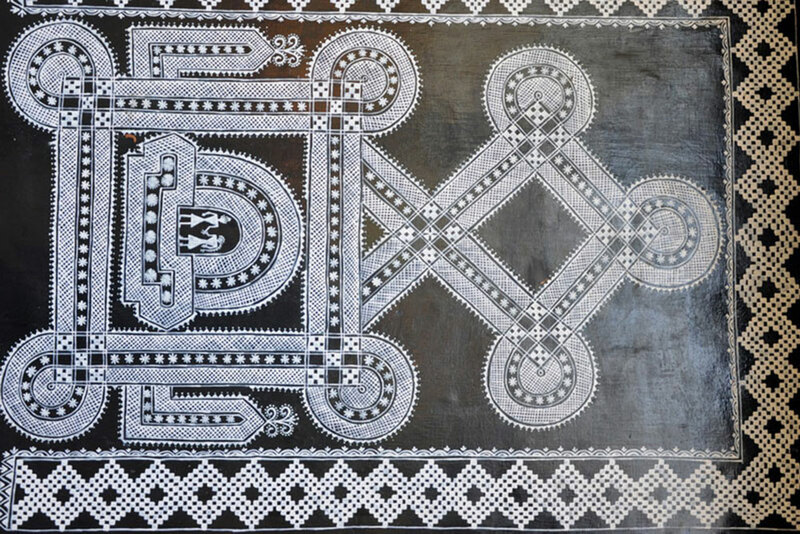 The unique folk art is mainly practiced by tribal women during their leisure time. All the themes of Hase Chittara are inspired by nature. 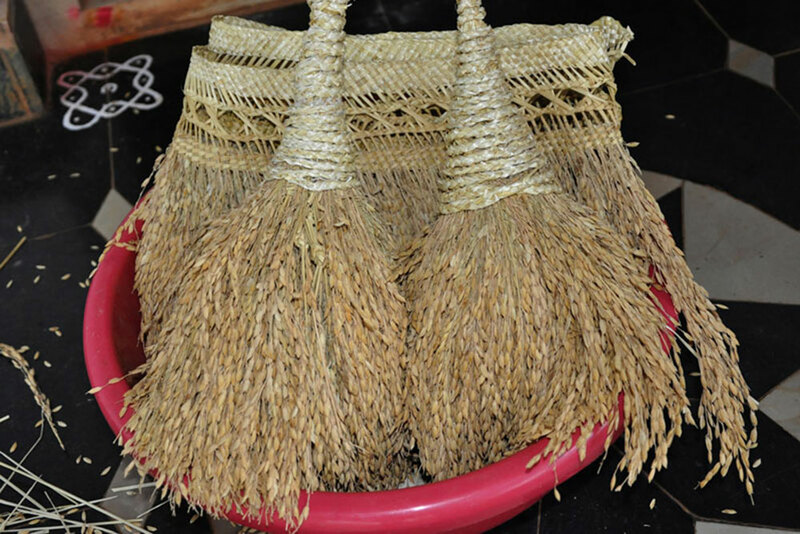 This art is majorly practiced during weddings and local ritual occasions. 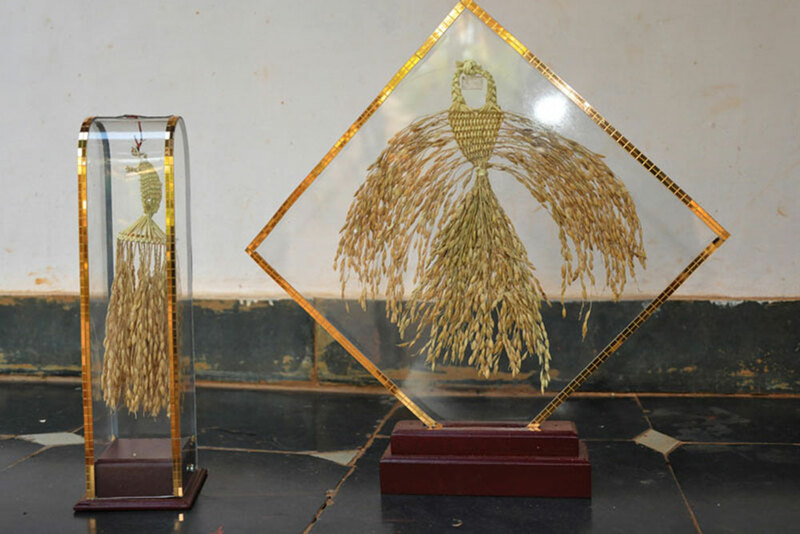 Paddy grain filling are creatively made into interesting decorative items. 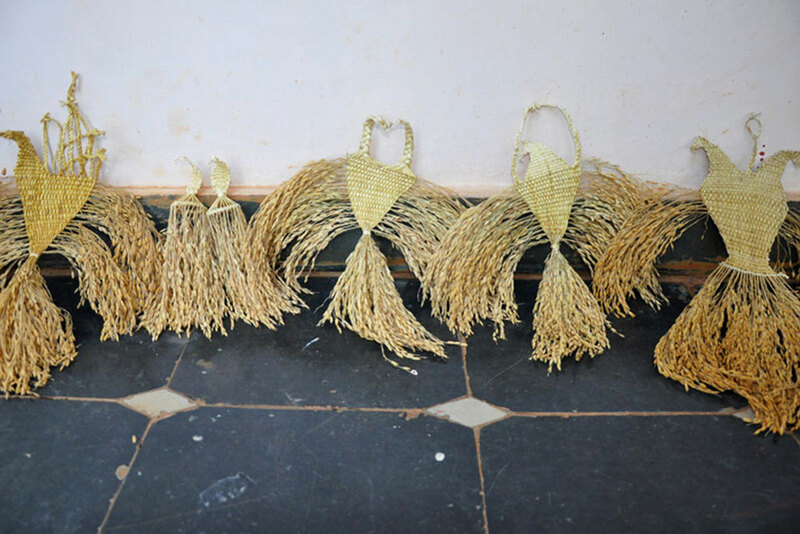 The finished traditional products are mainly for decorating doors and corridors during festivals and weddings. The life span of final product is 10 years.